Johan Frandsen started playing guitar at age 6 and began his music career forming The Knockouts in 1996 in Stockholm, Sweden. Hailing from Stockholm, Sweden Johan is the frontman guitarist, main songwriter and lead vocalist of The Knockouts. He is a proudly endorsed artist with Gretsch Guitars, Gretsch Guitars Australia, The legendary TV Jones and Fender, along with Jam Music and Tube Amp Doctor. As well as being the main songwriter and frontman of The Knockouts - from 2004 Johan was the lead guitarist with internationally respected Swedish rockabilly trio The Go Getters, having toured over 300 dates with shows all over Europe and USA. His guitar playing gave them an extra injection of energy worldwide. AMONG THE VULTURES the most recent release has received multiple accolades and reviews, including nominations in three categories "Best Punk Album, "Best Alternative Country Song" and "Best Punk Song" for the 2011 American Independent Music Awards and was the WINNER of "Best Punk Album". "Heat For The Hunted" the opening track from Among The Vultures was also chosen as one of Sweden´s top three rock songs by P3 Rock, Sweden´s national radio station. Recently Johan has led the band on major international touring schedules and festivals, touring with the likes of The Living End, Social Distortion Brian Setzer´s Rockabilly Riot and more. A highlight of the Brian Setzer tour was the encore performance at the Helsinki Icehall, Finland on the last night of the tour when Brian Setzer handed his guitar to Johan for a special rendition of the rockabilly classic "7 Nights To Rock". September 2012 saw a sold out show for Johans 30th birthday in Stockholm, featuring Slim Jim Phantom (Stray Cats) and Jonny Bowler (Guana Batz), flying over from Los Angeles to join The Knockouts on drums and bass for the night. The Knockouts are currently working on the new album due to release early 2013. Stay Tuned! Ted Jergelind is currently located in Gothenburg, Sweden. He joined the band in 2004 and has been a long serving and hard working member of The Knockouts. Ted is an endorsed artist with DR Customs Drums and TRX Cymbals. Having played hundreds of live gigs and every recording with the band during this time, Ted´s tight drumming brings energy and punkrock influenced attack to The Knockouts sound. Ken Stone originally came on board in 2008 as The Knockouts needed a stand in bass player for a tour of Finland. By coincidence Ken lived literally just around the corner, after the tour the decision was made, he was definitely here to stay! Ken brings his professionality, musicality and upright bass skills to the unique rockabilly flavour of The Knockouts sound. Lending rock solid slap bass rythms to the album AMONG THE VULTURES and many years of tours worldwide. The Knockouts are a Swedish rock band from Stockholm, Sweden, formed in 1996. The current lineup consists of Johan Frandsen (Vocals, Guitar), Ken Stone (Upright Bass, Vocals) and Ted Jergelind, (Drums). The band has risen to fame in 2010 after the release of the album Among the Vultures. They have released three studio albums and one EP compilation in Sweden and throughout Europe . The album Among the Vultures was nominated for Best Punk Rock Album at the 2011 Independent Music Awards, and two singles from the album were nominated for best punk song "Heat for the Hunted" and best Alt. Country song "Ever Been Hurt". The Knockouts added Best Punk Rock Album to their collection as voted by the industry panel including Joe Perry of Aerosmith, Benji Madden & Joel Madden, Good Charlotte, and Ozzy Osbourne in the Independent Music Awards. Performing hundreds of jam-packed and sold-out shows, The Knockouts have gained a reputation of delivering what is now described as a “cocky punk rock” sound with an aggressive rockabilly technique. 2012 saw The Knockouts working on new material for the upcoming album,during this time, illness within the band meant that touring schedules were kept to a minimum and work was directed to the songs for the new release (Due early 2013). The year was celebrated in style with a special event held in September 2012 at Debaser Slussen Stockholm, Sweden. Slim Jim Phantom from the world famous Stray Cats and Jonny Bowler from the Guana Batz flew from Los Angeles to join The Knockouts on stage in a once only special event to a soldout show, celebrating Johan Frandsen´s 30th birthday. The European summer of 2011 started with a performance with Brian Sezter on the premiere night of his tour at the 10-year celebration of the Azkena Rock Festival on the June 25, Vitoria-Gasteiz, Spain to crowds of over 50,000 people, then onto sold out dates throughout Germany in Berlin, Hamburg and Cologne. The tour continued to be sold out through Scandinavia with dates in Copenhagen, Denmark, Stockholm, Sweden and Helsinki, Finland ending at the Helsinki Ice Hall (venue capacity of 8200). Highlight of the tour was the encore performance at the Helsinki Ice Hall on the last night of the tour when The Knockouts frontman Johan Frandsen joined Brian Setzer and Slim Jim Phantom on stage with a special rendition of the rockabilly classic, 7 Nights to Rock. Setzer called Frandsen to the stage and handed his white Brian Setzer Hot Rod signature Gretsch Guitar to Johan to conclude the tour in Scandinavia. The Knockouts' tours have included dates throughout Europe including countries such as, Sweden, Finland, Denmark, Germany, Finland, Czech Republic and Spain. They have played at festivals such as the West Coast Riot and The Peace and Love Festival, alongside Brian Setzer, Social Distortion and The Living End. They supported The Living End in 2009 on their first Scandinavian tour date for the Raise the Alarm World Tour – in Stockholm, Sweden. Frontman Johan Frandsen has also played with members of the Stray Cats, Guana Batz, Mad Sin and gave the Swedish rockabilly band The GoGetters an extra injection of energy in over 300 gigs. Formed by Johan Frandsen in 1996. Their energetic and hard fought beginnings were captured with the release of their 1998 self titled debut 7 inch single The Knockouts, produced by Thomas Skogsberg (The Hellacopters) 1999 to 2001 was spent touring, writing and preparing to record the full length promotional album Skyline Supernova, recorded in Sunlight Studio, Sweden and released in summer 2000, and various compilation recordings, including A Fistfull of Rock, Devil Doll Records. The success of their album scored them national support and the slot on the Hultsfred Festival, playing in the same year as bands such as Iggy Pop and Rocket from the Crypt. After devouring two year's worth of gigs, and with a different way of looking at the Swedish punk rock scene, and following from the success of Skyline Supernova, in 2003 the trio went onto solidify its sound with the introduction of longtime drummer Ted Jergelind. Early 2004 saw them head into the studio and record the 4 track EP self titled The Knockouts. 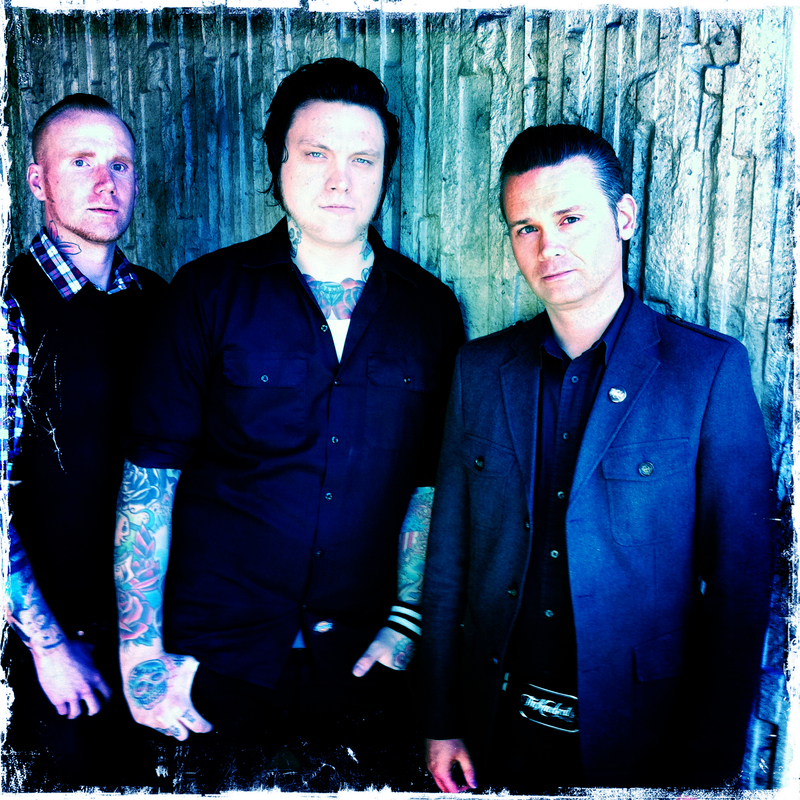 While writing new material during 2004–2006 for their second full length album and touring Sweden, Germany, Spain, Johan Frandsen (Lead vocals, Guitar) toured over 300 dates with internationally respected Swedish rockabilly band, The GoGetters. The energy and injection of Johan Frandsen's rockabilly roots and unique "Knockouts" sound, bought a new edge to the GoGetters and the tour included shows all over Europe and the USA; headlining the Viva Las Vegas, supporting Stray Cats members, and playing with members from Mad Sin and Guana Batz. In the midst of a relentless touring schedule between 2006–2008, new songs were bubbling to the surface in what would become El Fin de la Guerra. Recorded October 2007 and released Feb 1, 2008 this new album saw the band fly into a massive Europe and USA tour including planned dates in Sweden, Germany, Czech Republic, Finland, and the West Coast of the United States. 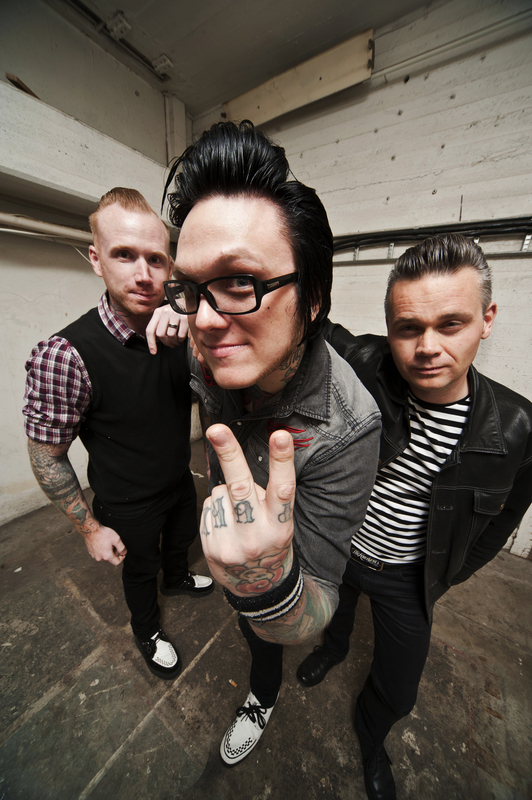 They were busy on the festival circuit in the summer of 2009, including playing Earth Hour in Stockholm, then with The Living End and Social Distortion at The Westcoast Riot festival, and the Peace and Love Festival. The official single, "Under the Light" has attracted radio play and reviews both in Scandinavia, USA and Europe. The song "Heat for the Hunted" was chosen 3rd on Sweden's National Radio Program - Håkan Persson's P3 Rock as the best top three songs for 2009. The Knockouts Among the Vultures was nominated for Best Punk Rock Album at the 2011 Independent Music Awards, and two singles from the album were nominated for best punk song "Heat for the Hunted" and best alternative country song "Ever Been Hurt". The Knockouts added BEST Punk Rock Album to their collection as voted by the Industry panel including Joe Perry, Aerosmith, Benji Madden and Joel Madden, Good Charlotte, and Ozzy Osbourne. "Heat for the Hunted" from the album Among the Vultures was chosen 3rd on Sweden's National Radio Program Håkan Persson's P3 Rock as the best top three songs for 2009. The Knockouts were nominated as best upcoming act at the Bandit Rock Awards (Sweden's biggest rock radio station). 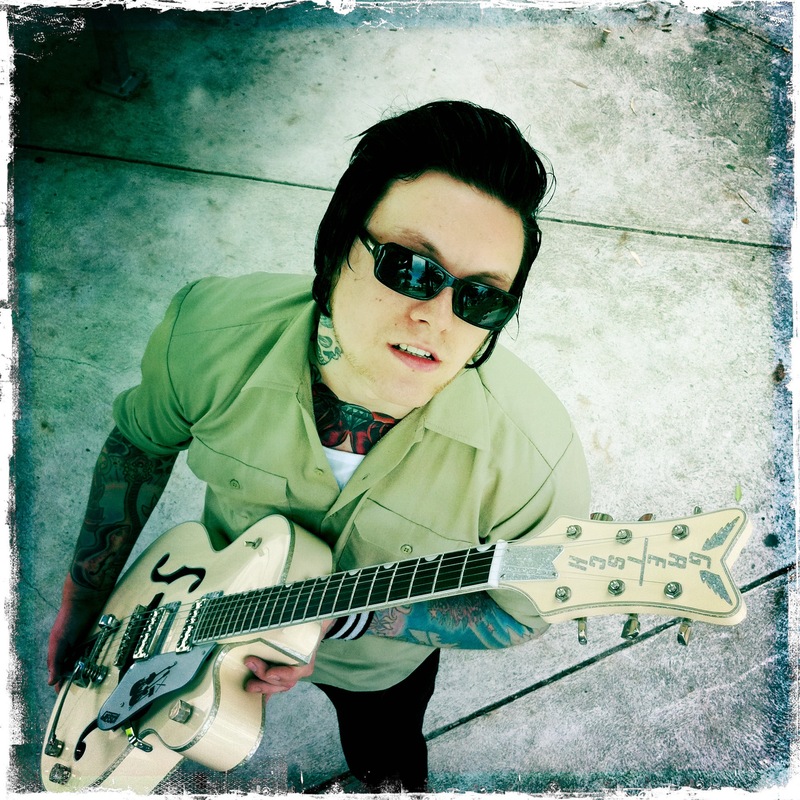 2010 saw Johan Frandsen debut as an endorsed artist with TV Jones guitars as a featured artist on the website with Brian Setzer, Chris Cheney and Billy Gibbons. This was soon followed up by support and endorsement from Gretsch and Fender Scandinavia and Gretsch Australia. Johan is also an endorsed artist with Tube Amp Doctor. You are 2 steps away from getting the latest news. Enter your name and E-mail below.